"As a part of today's iCloud.com launch for developers, Apple has revealed the price points for extra iCloud storage for end users." 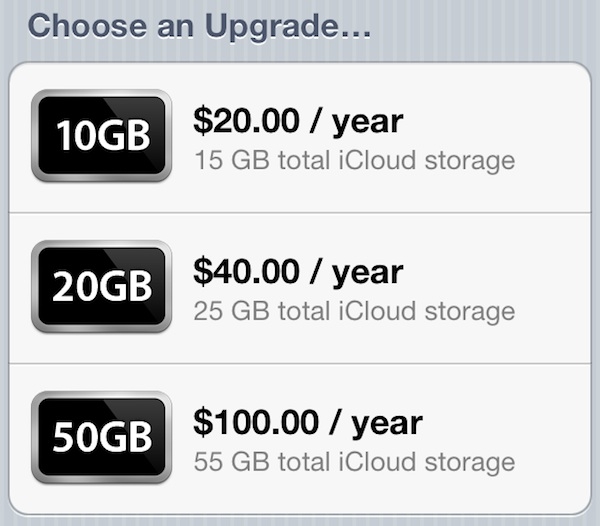 5GB free storage, then basically a little less than $2.00 USD per GB per year for extra storage. Keep in mind this doesn't include your photo stream images or music you purchases via iTunes or books through iBooks. Still, with so many options out there, is this something you will consider?